“In explaining the glories of the Lord, inexperienced men may compose poetry with many faults, but because it contains glorification of the Lord, great personalities read it, hear it and chant it.” Despite its minute literary discrepancies, one must study poetry on the merit of its subject matter. According to Vaisnava philosophy, any literature that glorifies the Lord, whether properly written or not, is first class. There need be no other considerations. The poetic compositions of Bhavabhuti, or Srikantha, include Malati-madhava, Uttara-carita, Vira-carita and many other similar Sanskrit dramas. This great poet was born during the time of Bhojaraja as the son of Nilakantha, a brahmana. Kalidasa flourished during the time of Maharaja Vikramaditya, and he became the state poet. 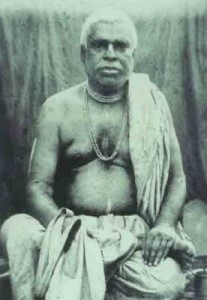 He composed some thirty or forty Sanskrit dramas, including Kumara-sambhava, Abhijnana-sakuntala and Megha-duta. His drama Raghu-vamsa is especially famous. We have already described Jayadeva in Chapter Thirteen of this Adi-lila. Jayadvaita Swami has also interpolated, substracted and re-arranged sentences, words, paragraphs, chapters, forewords and paintings from Prabhupada’s already authorized books. His editing work was never approved or authenticated by Prabhupada. Then, are his edited books authentic? 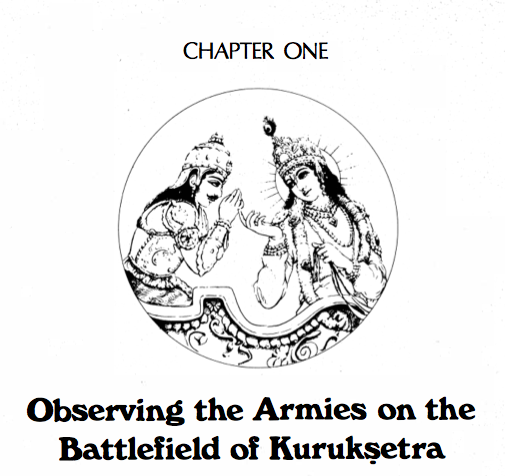 The editors of the 1983 revised Gita did not believe that they actually interpolated philosophy or style. * Their idea was to improve both translations and purports by transposing and clarifying portions of old manuscripts, etc. existing prior to the one finally submitted to Macmillan in 1972. Truly, many of the grammatical, spelling, format and historical inaccuracies corrected in the revision would have been approved by Srila Prabhupada himself had he been consulted. Be that as it may, Srila Prabhupada never instructed anyone to use a procedure of re-visiting and researching old manuscripts or dictations to revise future printings of his first editions. On the other hand, recordings made from 1972 until 1977, six years, demonstrate how Srila Prabhupada often personally read excerpts from the Gita in classes, room conversations, engagements, etc. Many times he also instructed devotees present to read aloud as he listened. There is no evidence indicating that he ordered extensive revisions for the next printing. As the current chief editor wrote; “To my knowledge, Srila Prabhupada never asked us to re-edit the book.” (Letter to Amogha Lila, July, 1986 ). Interestingly enough, none of the scholars, educators, professors and other reviewers of the Gita called for it either. From 1972 until 1983 we don’t find requests from professionals for a revision to a higher standard. Nor do we hear any demand from devotees in general for such a thorough revision. 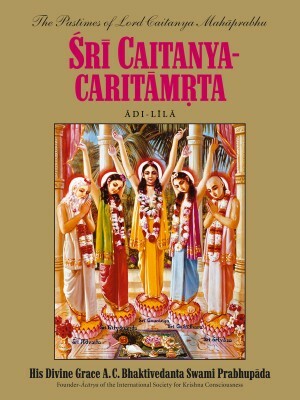 In fact, the editors state in “A Note About the Second Edition” found in the BBT revised editions: “Yet their effort to publish Srila Prabhupada’s work was a success, and the Bhagavad-gita As It Is has become the standard edition for scholars and devotees around the world.” Still, after eleven years of documented success, the Gita was extensively re-worked. Why? What is the reason? The editors are claiming the benefit of 15 years work, which would mean 1968 until 1983, the year of the revision. However, the value of those benefits is uncertain, because in June, 1977 Srila Prabhupada severely chastised the editors for changes to his Isopanisad and Bhagavatam. He described the editors as rascals (a term he usually reserved for atheists, material scientists and politicians), and called them “dangerous” at least six times in ten minutes of discussion. Just five months before his disappearance, Srila Prabhupada made this a major issue for the Society. The same basic issue came up in 1983 and has continued more or less for the last 25 years. But for us, now, who will decide who is right and who is wrong? One side says “responsible editing,” the other says “irresponsible, unauthorized, etc.” But who is right and who is wrong? Who will decide? So now we must come to the point of reason. Is it reasonable to conclude that just five or six years after deserving that 1977 chastisement, editors could have emerged as “accomplished scholars” -by 1983? One editor escaped chastisement. Still, isn’t six years a short time for everyone to turn up as “accomplished scholars?” But even if all the editors had been studying Sanskrit for 30 years by 1983, is it plausible that such editors could be able to dive into the superexcellent depths of Sanskrit revelation, and come up with an understanding of it’s complexities—the same complexities-understood by previous acaryas? Was this the prerogative of such disciples, that they could be “able to see their way through perplexities in the manuscript by consulting the same Sanskrit commentaries Srila Prabhupada consulted when writing the Bhagavad-gita As It Is? Is it possible? And further, “In places the translations, though already correct, have been revised to come closer to the original Sanskrit…” Here the implication is that the editors in 1983, whoever they were, thought they could interpret the original Sanskrit texts comparatively as well as Srila Prabhupada himself, or at least well enough to put their new realizations in his book under his name. And, that they could understand the same complexities understood by previous acaryas (presumably Sridhar Swami et. al.) simply by using the same Sanskrit commentaries Srila Prabhupada used. Is this credible? Is it reasonable to conclude that such editors were capable of producing “a work of even greater richness and authenticity?” Or that translations “already correct” could have been revised to even more correctness by them? Was all this perfection really possible by 1983? May be, if they had received authorizations and blessings from Srila Prabhupada in 1977 before he disappeared, but that didn’t happen. 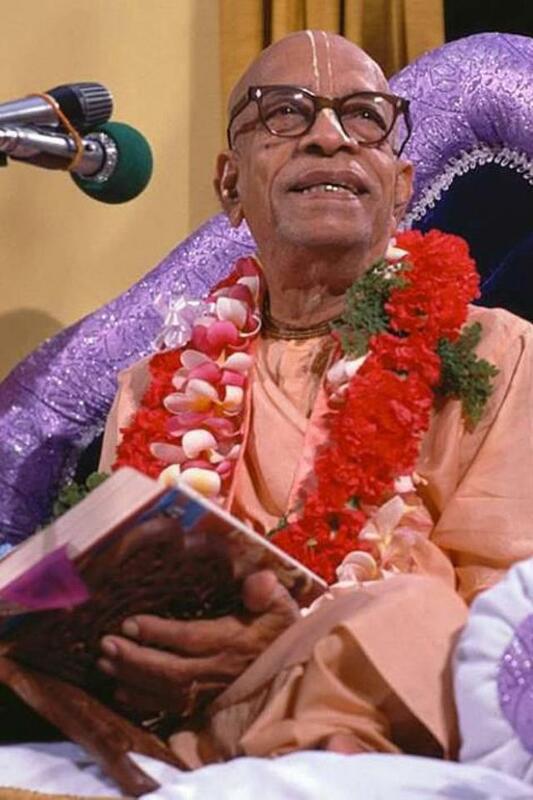 It is known from that recorded conversation of June, 1977, that when Tamal Krsna suggested to Srila Prabhupada Jayadvaita check any changes before reprinting, Srila Prabhupada countered: “But they are doing without any authority!” In other words, no need for Jayadvaita to become an inspector of changes because nobody was authorized to make such changes in the first place! Tamal had already said to Srila Prabhupada: “Your original work that you’re doing now, that is edited by Jayadvaita. That’s the first editing.” Srila Prabhupada had answered, “He is good.” So Srila Prabhupada, in the midst of all the turmoil, made it clear that he was satisfied with Jayadvaita’s work. Yet a “first editing” is entirely different from re-editing an already finished or printed work, which is what the others were doing. Srila Prabhupada never authorized anyone, including Jayadvaita or Pradyumna to do that with the Bhagavad-gita then or in the future. At this point the significant question emerges: Has maryada-vyatikrama, impertinently surpassing a greater personality, occurred in the process of editing and reprinting Srila Prabhupada’s books? It certainly had by 1977, according to the momentous June 22nd room conversation about changes to the Isopanisad and Srimad Bhagavatam. 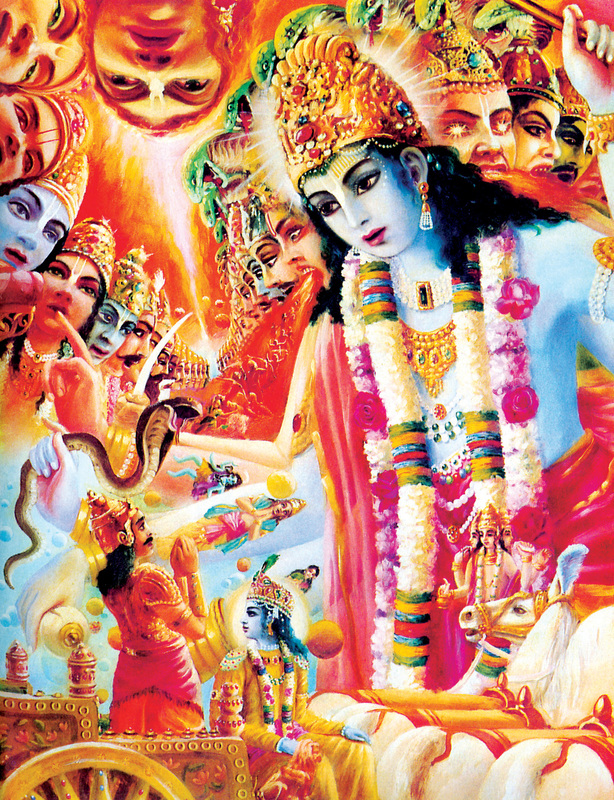 Six years later, considering the exaggerated claims in the “Note About the Second Edition” and the extreme content-editing of the text, it appears to have occurred again in the 1983 “Revised and Enlarged” version of the Bhagavad-gita As It Is. Vaisnava etiquette demands that Srila Prabhupada’s disciples, grand-disciples, et. al. always think themselves fools in front of Srila Prabhupada. But, unfortunately, sometimes some of them forget that, and dare to rush in where angels fear to tread.